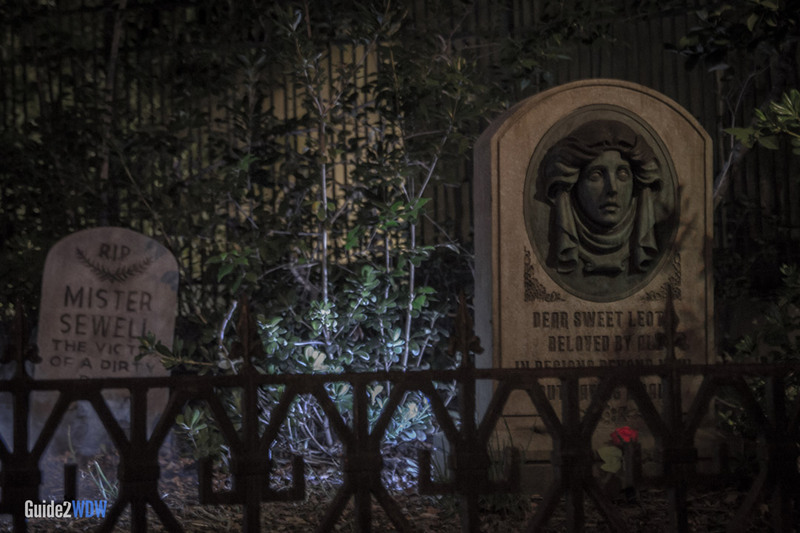 Come face to face with some grim grinning ghosts in Magic Kingdom's spookiest attraction. Encounter 999 happy haunts at the Haunted Mansion. 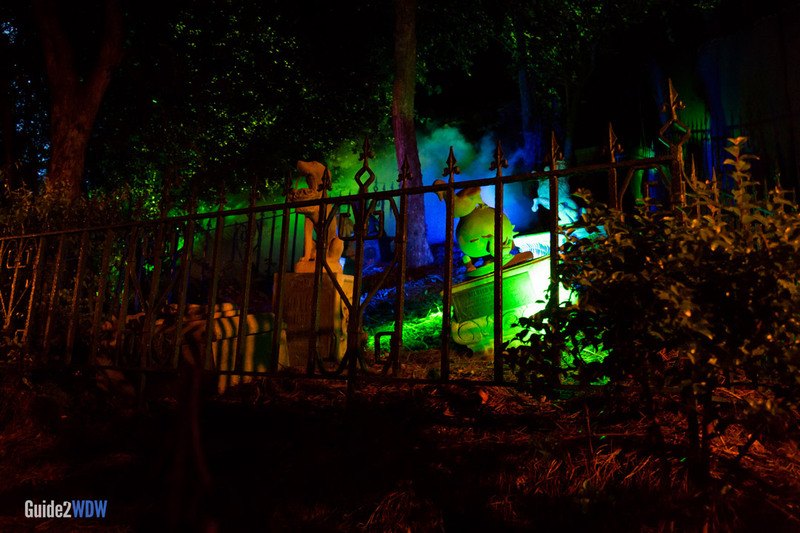 Located in Liberty Square, guests enter a ghostly world filled with ghouls and spirits. 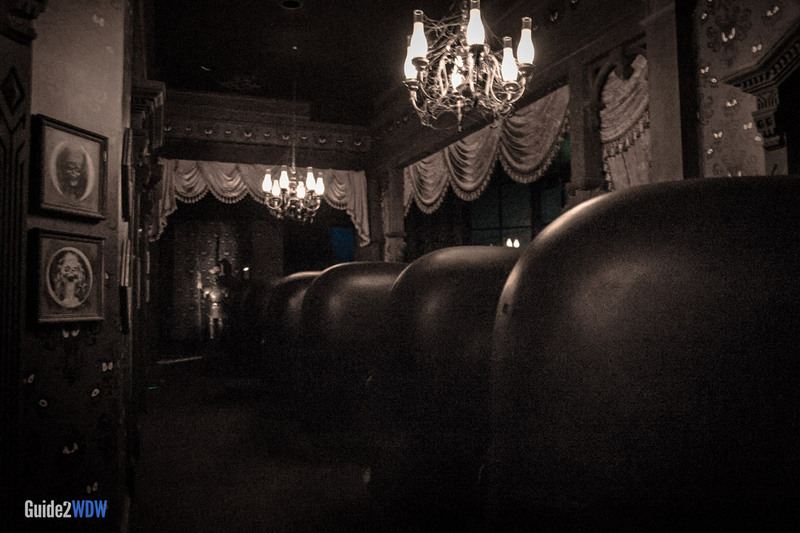 Riders board “Doom Buggies” and are taken through the haunted halls of the Mansion. 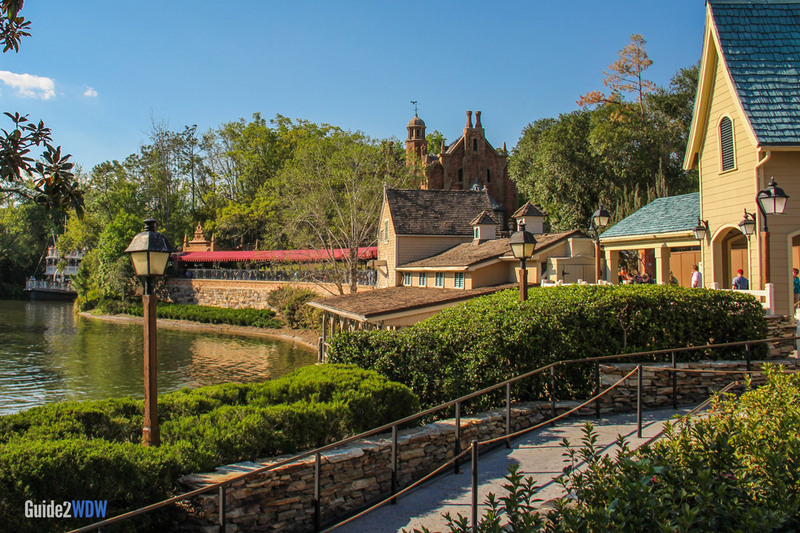 Scenes include a ballroom, a graveyard, and the famous hitchhiking ghosts. 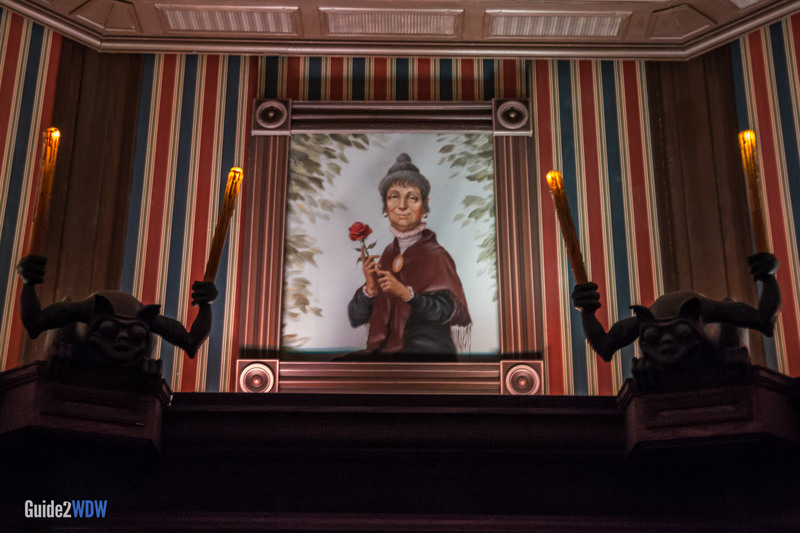 With classic narration, amazing special effects, and iconic songs, the Haunted Mansion is a must ride for any Walt Disney World guest. While this remains relatively mild as far as haunted houses go, the subject matter and special effects might manage to scare some younger guests. 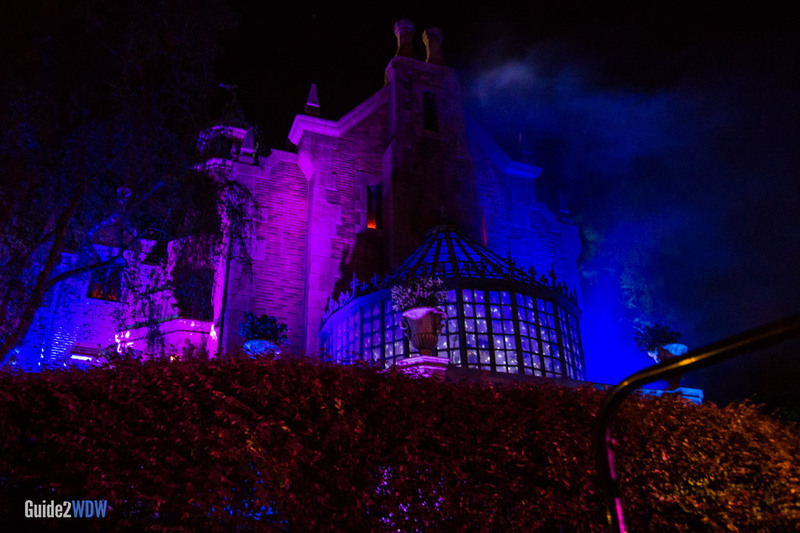 Be sure to visit the Haunted Mansion during the Halloween party, as the exterior features some extra spooky decoration. When you enter the “stretch room”, stand on the side closest to the fireplace as you enter. There are two stretching rooms side by side, and the exit is always between them. This will help you board the ride faster. This ride has inspired two different movies. The first premiered in 2003 and starred Eddie Murphy. Guillermo del Toro helms the second movie, which will be a reboot of the series. Every winter at Disneyland in Anaheim, CA, the Haunted Mansion is transformed to feature a Nightmare Before Christmas theme. Sadly, its Orlando counterpart does not get the same treatment. Hopefully Disney will bring the amazing Nightmare Before Christmas theming to Disney World. When I go to “haunted houses” around Halloween, I go to be scared. The Haunted Mansion is not a scary ride. When I was younger, I did find it spooky, but I have never found it to be particularly scary. So, if this ride isn’t particularly scary, why do I find myself going on it again and again? For what The Haunted Mansion lacks in pure scares, it makes up for in atmosphere and charm. From the special effects to the layout to even the temperature, everything about this ride gives it a sense of heightened reality. Despite the fantastical subject matter and visual trickery, The Haunted Mansion feels like a real place because the atmosphere is so specific and well done. If you’re looking for scares, this is not the ride for you. If you’re looking for a spooky and charming ride, jump on board your Doom Buggy and tour the mansion. Remember, there’s always room for one more.